Made in the USA, we are the originators of the laser engraved personalized buckle dog collar! We specialize in producing the finest quality product for your best buddy. We source all of our products in the USA. No more jingling tags on your dog's collar or tags that get lost when you choose any of our laser engraved personalized collars. Whether its the plain webbing collars in our huge selection of sweet colors or our reflective or layered stripe series or our new selection of designer collars, you are sure to get a classy look. 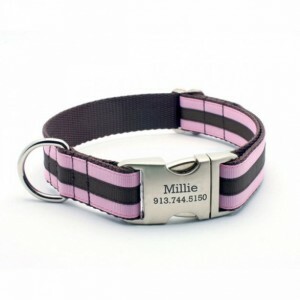 Personalized buckle dog collars...What a concept! If you prefer a plastic buckle, then check out our Stealth collar with Personalized NamePlate built into the strap for that extra bit of security. Here at LaserPets, we do all of our laser engraving in-house using a state-of-the-art fiber laser. We have chosen this method over others because we can achieve the best laser engraving, dark and easy to read contact information to help keep your pet safe. Our fiber laser engraver uses state-of-the-art, cutting edge technology to deliver clean, pristine laser engraving on our signature satin aluminum buckles. This computer driven laser ensures uniformity and consistency in producing your personalized product. 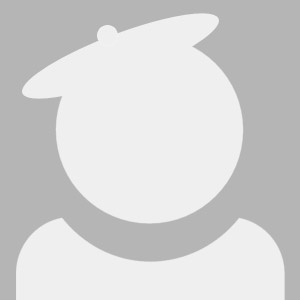 Please note - - All of our products are custom made to order items and are not returnable. Please measure your dog\'s neck carefully using our size guidelines prior to placing your order to ensure a proper fit. Collars are not intended for use in any tie out situation. Due to high order volumes, our current turnaround time for shipping is 12-18 business days.